The average cost of memory care in Bowling Green is $4,447 per month. This is lower than the national median of $4,655. To help you with your search, browse the 1 review below for memory care facilities in Bowling Green. On average, consumers rate memory care in Bowling Green 4.0 out of 5 stars. Caring.com has helped thousands of families find high-quality senior care. To speak with one of our Family Advisors about memory care options and costs in Bowling Green, call (855) 863-8283. Approximately 71,000 individuals in Kentucky live with Alzheimer's disease, according to the Alzheimer's Association, and that number is projected to grow to 86,000 by 2025. The need for memory care facilities exists in cities such as Bowling Green, where 11 percent of the population is aged 65 and older. The state of Kentucky categorizes memory care facilities as a type of assisted living community. The Kentucky Department for Aging and Independent Living certifies these facilities every year. Bowling Green is home to two of these memory care facilities, which are available to seniors with dementia and other memory-related disorders. Bowling Green boasts a cost of living that is lower than the national average. On a scale where the national average is 100, Bowling Green's cost of living comes in at 93.3. Housing and related expenses like utilities are some of the city's most inexpensive categories. Not surprisingly, then, the cost of memory care facilities in Bowling Green also comes in lower than the national average. Kentucky does not tax social security income. As a result, seniors living in Bowling Green will enjoy some extra money in the bank. They may opt to put this money toward memory care facility expenses. Bowling Green's violent crime rate is below the national average, which can offer some peace of mind for seniors and their families as they search for memory care facilities. Property crime, which includes burglary and motor vehicle theft, rates are higher than the U.S. average. As a result, seniors and their caregivers will want to inquire about safety precautions at both memory care facilities in town. Bowling Green's climate offers a taste of all four seasons. In the winter, temperatures drop to the 20s. The area sees modest snowfall totaling just six inches a year, which is well below the national average. During summer months, the temperatures rise to as high as 88 degrees in July. Bowling Green receives about 50 inches of rain a year, which is above the national average. Memory Care costs in Bowling Green start around $4,447 per month on average, while the nationwide average cost of memory care is $4,798 per month. It’s important to note that memory care rates in Bowling Green and the surrounding suburbs can vary widely based on factors such as location, the level of care needed, apartment size and the types of amenities offered at each community. To see a list of free memory care resources in Bowling Green, please visit our Assisted Living in Kentucky page. 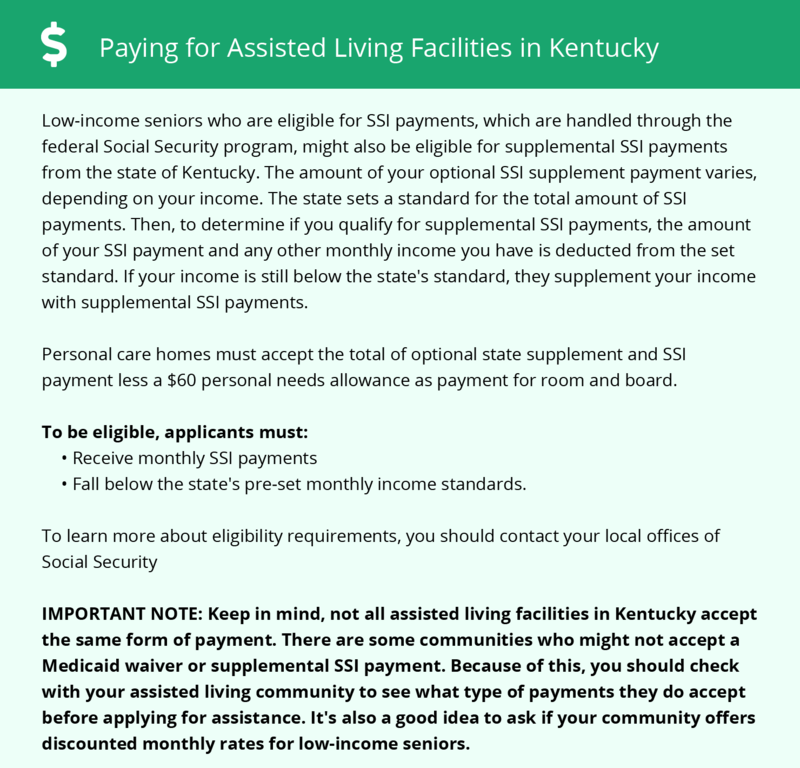 Bowling Green-area assisted living communities must adhere to the comprehensive set of state laws and regulations that all assisted living communities in Kentucky are required to follow. Visit our Memory Care in Kentucky page for more information about these laws.